Okay, I'm just going to come right out and say it. 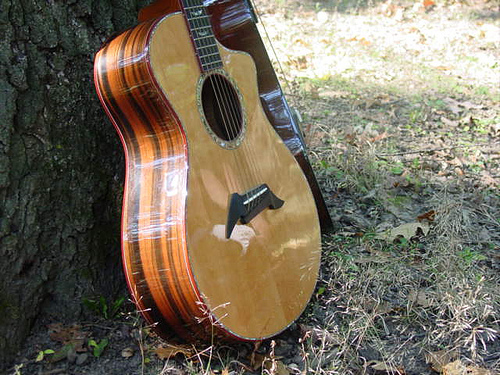 If I'm scanning ebay for guitars, I pass right by any "stock" photo's. I mean, really. If you're a dealer I suppose it cuts down on the amount of time you spend listing items, but buying something as special as a guitar online is scary enough. But you wont even take the time to post an ACTUAL picture of the guitar? You take the stock photo from the maker's site or from some on-line retailer? I wont give you even a cursory glace. Scroll right by........am I the only one who dismisses these listings? Sweet Jujubes I hope not! Stock photos = "Thanks buster for wasting my time." Nope, not the only one. I agree with your thoughts on this completely...and Tom's (below) as wel. I agree. You think they would realize that buying a guitar isn't like buying some assembly line widget. Each on has it's own character, ie, wood grain, finish, wear, etc. Having actual pictures is a necessity. Me too. It's either a cheap p.o.s. or real expensive and no detail. I wonder what some are thinking.